Local and offshore investors and owner-occupiers will hone in on the Melbourne CBD in 2016 as property becomes the investment class of choice for a growing number of groups and individuals. Colliers International Director of Melbourne City Sales, Daniel Wolman, said record low interest rates, a soft Australian dollar and volatility in overseas Asian markets would position Australian property as a safe haven for investors and owner occupiers alike in the year ahead. “Uncertainty surrounding a Chinese market slow down has spooked investors across the region and sent jitters through local markets,” Mr Wolman said. “Property has traditionally been seen as s safe haven, and in the current climate we are seeing it become even more of a focus for investors both here and abroad. 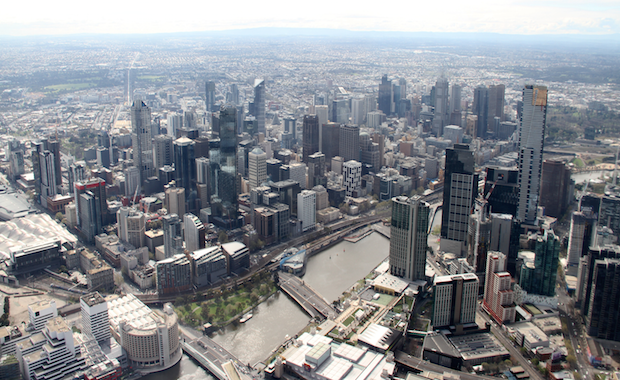 “The Melbourne CBD market in particular is showing no signs of slowing down this year. With the exception of Christmas Day, the phones haven’t stopped ringing. Buyers from all over Asia as well as locally are still looking to transact, even in what has traditionally been a quiet period in years gone by. “Everyone is looking to plant their money in property and secure assets before property values increase any further. Colliers International’s Melbourne City Sales team was selling and listing property in the lead up to and all the way through the festive period, which was traditionally a quiet time for the property market. This included the sale of a four-level freehold property located in the east of the Melbourne CBD at 59-63 Bourke Street. Leased to three well known hospitality operators, including The Spaghetti Tree restaurant and Madame Brussells rooftop bar, the property was sold off market to a local private investor for $9.8million by Daniel Wolman and Oliver Hay. A 94sqm strata retail property on two titles, known as Shops 9 and 11 at 1 Little Collins Street, was sold for $2.64million under the hammer on a record yield of 3.6 per c ent. The strongly contested auction generated around 20 bids from a large crowd of over 100. Mr Wolman, Mr Hay and colleague Chris Ling said the sharp yield represented the strength in the market, driven by incredibly low interest rates. The buyer was a local private investor. A high profile retail investment on the ground floor of 326 William Street was sold at the end of the year for $4.81 million in an off market deal negotiated by Mr Wolman and Mr Hay. The property was purchased by a local private investor on a passing yield of 3.95 per cent and a capital value of $12,691/sqm. Mr Hay said there had been a “huge influx” of purchasers looking to put money in prime CBD property and, with limited stock, competition was only going to increase in the year ahead. Properties in prime locations with secure tenants would be particularly sought after. The first property to hit the market in 2016 will be a 12-storey office building in the heart of the CBD at 51 Queen Street, located between Flinders and Collins Streets. The building is approximately 4,800sqm and brings in a healthy long term income of more than $1.1million from a diverse range of quality tenants. The building is scheduled to hit the market in February in a campaign being run by Mr Wolman, Mr Hay and Matthew Stagg. The vendor, a Malaysian investment arm, has appointed Colliers International’s Melbourne City Sales team to divest of several assets from their Australian portfolio to take advantage of the strong demand from buyers.